Once the new prices go into effect, all Seasonic products made in China and sold in the U.S. will become $5 to $20 more expensive, depending on the product and its original price. It&#39;s worth noting that Seasonic is listing their manufacturer suggested retail prices here, and these are not the prices that retailers are actually paying for the hardware. So actual retail prices will depend both on what the real cost is to retailers, and what kind of margins they&#39;re aiming for. Meanwhile, all orders placed prior to December 1st will be priced at current levels. So there is plenty of time before the price increases take effect (though, this will depend on particular retailers). 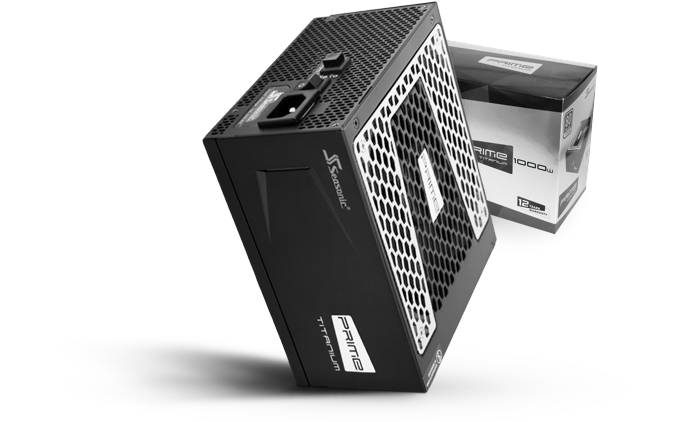 One other thing to keep in mind about Seasonic is that it also produces PSUs for numerous brands, including Corsair, NZXT, XFX, and a number of others. So don&#39;t be surprised if the company&#39;s downstream customers follow suit, as they&#39;re going to be impacted by the same tariff increases. It remains to be seen how significant those increases might be, but it is something that&#39;s seemingly inevitable given the current situation on the market. Micron&#39;s 5210 ION enterprise SATA SSD was announced in May as the first shipping SSD with four bit per cell (QLC) NAND flash memory, but until now it has only been available to Micron&#39;s largest customers and partners. Starting this week, the 5210 ION is getting a broad release that will include sales through online retailers. This means that we finally have concrete detailed specifications and prices for the 5210. As originally announced, the 5210 ION is a fairly straightforward adaptation of the 5200 series TLC-based enterprise SATA SSDs to use Micron&#39;s new QLC NAND. The controller and most of the firmware are the same, and the change in flash memory brings lower cost, write endurance and performance. We now have a clear idea of just how big an impact the switch to QLC NAND makes on those specifications. Micron&#39;s primary goal with the 5210 ION is to expand the market for their enterprise SSDs. Micron does expect some customers to replace some of their TLC-based enterprise SSDs with QLC drives like the 5210 ION, but they&#39;re more interested in going after the remaining market for 10k RPM hard drives. 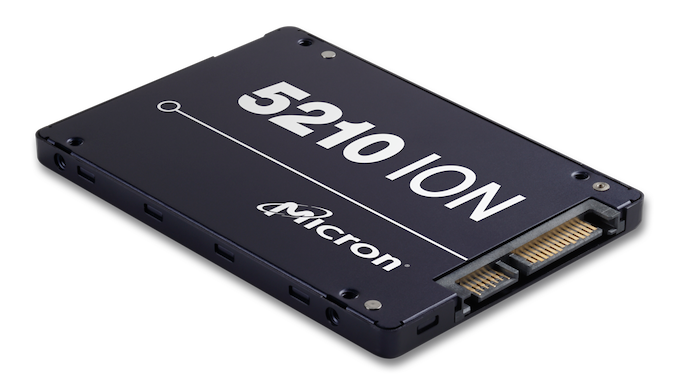 Micron believes that with the 5210 they finally have a SSD that is cost-competitive with high-end hard drives, while offering higher performance, density, and power efficiency. Write speeds are the biggest weakness of QLC NAND, but even the smallest, slowest 5210 model can sustain sequential writes at least as fast as a 10k RPM hard drive. However, the 5210 has already proven to have broader appeal, and Micron has some large customers that are deploying it as replacements for 7200RPM hard drives or client TLC SSDs that were being used in datacenters. With a price similar to consumer TLC drives but firmware tuned for enterprise workloads, the 2TB 5210 is being rolled out to replace 1TB consumer SSDs in service with a major streaming media CDN. Serving up streaming video is an appropriately read-heavy, mostly sequential workload that allows the 5210 to saturate the SATA link as well as any drive, but with more consistent latency than client/consumer SSDs offer. Micron also cites a system builder of servers for machine learning is migrating from 8+TB 7200 RPM to the 8TB Micron 5210 ION for storing the massive datasets involved. The 5210 is quite a bit more expensive than the hard drives, but the hard drives have been a serious bottleneck. The higher performance of the 5210 allows these systems to perform tasks like image classification 8x faster, greatly improving the utilization of the expensive compute hardware in those machines and lowering the total cost of ownership. Machine learning can be an extremely read-heavy workload for inference tasks when a large model is consulted repeatedly and only occasionally updated. The patterns in the write endurance ratings are not completely uniform across the product line. All three capacities top out at 0.8 DWPD for 100% sequential 128kB writes, and are rated for 0.2 DWPD for 16kB random writes. When random writes of 4kB or 8kB are involved, the larger models have lower DWPD ratings than the 2TB model, possibly reflecting differences in how the flash translation layer is tuned for different drive capacities. The worst case is for 100% 4kB random writes, where the 2TB model is still rated for 0.2 DWPD but the 8TB model is rated for just 0.05 DWPD&mdash;the larger drive can&#39;t actually handle more total TB of 4k random writes. Micron is pitching the 5210 as best suited for workloads that are at least 70% sequential for their writes, which yields endurance ratings of at least 0.27&ndash;0.56 DWPD depending on drive capacity. There are plenty of datacenter workloads that fall within this range, and in particular, workloads that hard drives (10k or 7200 RPM) offer sufficient performance for are probably already heavily sequential. While Micron has announced general availability this week, distributors like CDW are not expecting stock for another week or two but are listing their prices for pre-orders. CDW currently lists the 5210 ION for 21-24 cents per GB, compared to 25-28 cents per GB for the TLC-based 5200 ECO. Bulk pricing should be significantly lower, and retail pricing may also drop below 20 cents per GB when supplies improve. Micron this week announced that it had started mass production of its first LPDDR4X memory devices using its second-generation 10 nm-class process technology. The new memory devices offer standard LPDDR4X data transfer rates of up to 4.266 Gbps per pin and consumes less power than earlier LPDDR4 chips. Micron&rsquo;s LPDDR4X devices are made using the company&rsquo;s 1Y-nm fabrication tech and feature a 12 Gb capacity. 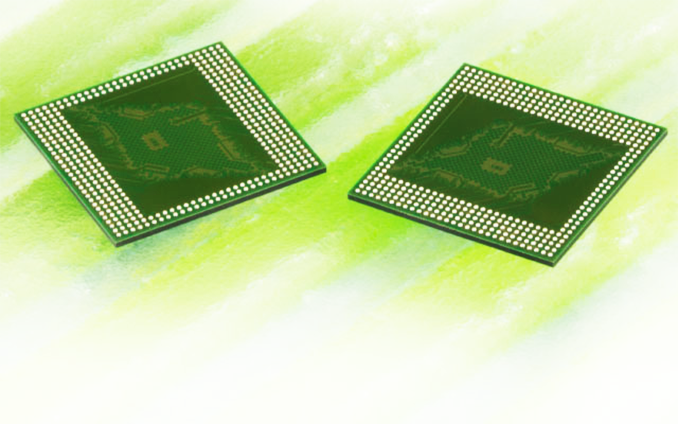 The manufacturer says that its LPDDR4X memory chips consume 10% less power when compared to its LPDDR4-4266 products; this is because they feature a lower output driver voltage (I/O VDDQ), which the LPDDR4X standard reduces by 45%, from 1.1 V to 0.6 V.
Micron&rsquo;s 12 Gb (1.5 GB) LPDDR4X devices feature a slightly lower capacity than competing 16 Gb (2 GB) LPDDR4X offerings, but they are also cheaper to manufacture. As a result, Micron can offer lower-cost quad-die 64-bit LPDDR4X-4266 packages with a 48 Gb (6 GB) capacity and a 34.1 GB/s bandwidth than some of its competitors. The 12 Gb LPDDR4X DRAM is Micron&rsquo;s first product to be manufactured using the company&rsquo;s second-generation 10 nm-class process technology, so expect Micron to launch more DRAMs that are made using the same tech and therefore feature lower power consumption and higher frequency potential when compared to existing products. Like other makers of DRAM, Micron usually does not announce products before it ships the first batch. Therefore, at least one customer of Micron may have already received its LPDDR4X DRAM devices. The Crucial P1 is the second consumer SSD with QLC NAND to hit the market, and the first consumer NVMe drive that Crucial has released. It is fundamentally similar to the Intel SSD 660p, but Micron has made some different tradeoffs with their custom firmware that make it worth consideration. SK Hynix this week officially launched its new 96-layer 3D NAND flash memory chips, which feature a new architecture and a faster interface. The NAND has already been qualified for SSDs, with first 1 TB consumer models launching shortly and enterprise-grade solutions following on later. What is noteworthy is that these drives are going to be based on SK Hynix&rsquo;s own controllers. In addition, SK Hynix will eventually offer UFS 3.0-based mobile storage devices featuring the same memory. 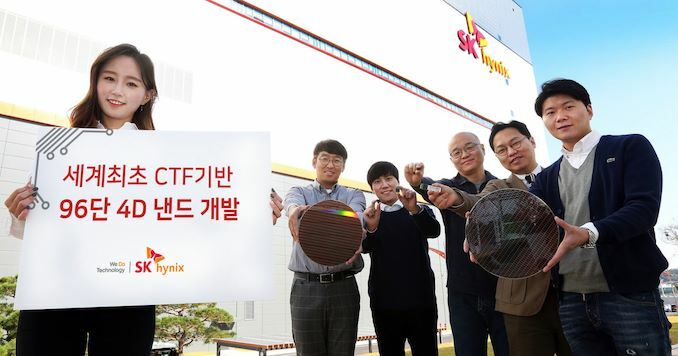 Initially available in a 512 Gb capacity, SK Hynix&rsquo;s new 96-layer 3D TLC NAND memory devices are based on a charge trap flash (CTF) design with a peripheral circuits under cells (PUC) architecture. 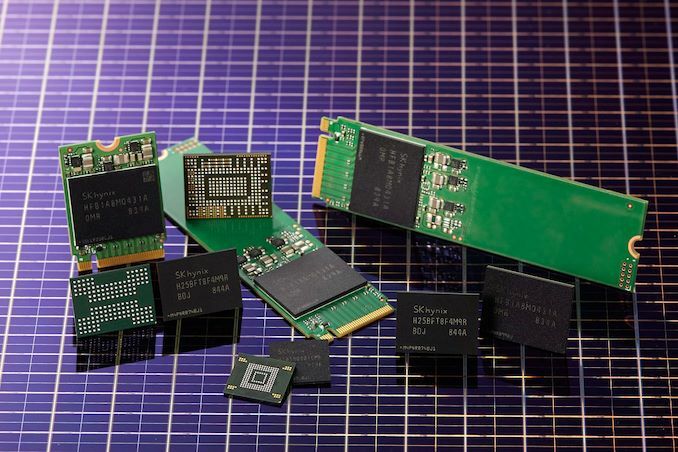 Officially the company has started referring to these devices as &ldquo;4D NAND&rdquo; (as announced back at Flash Memory Summit in August), though the technology is not fundamentally different from current 3D NAND architectures. The new 3D-V5 devices use a 1.2 Gbps Toggle 3.0 I/O interface, which is faster than SK Hynix&rsquo;s 72L 3D-V4 generation products. Meanwhile the chip also features a 64 KB page size (the smallest area of the flash memory that can be written in a single operation) and an 18 MB block size (the smallest area of the flash memory that can be erased in a single operation), which will further speed up performance of the new 3D-V5 devices compared to its predecessors. SK Hynix says that the increased number of layers and its PUC architecture makes its 96-layer 512 Gb 3D NAND devices around 30% smaller versus their similar 72-layer 512 Gb 3D NAND devices. Furthermore, it can now produce wafers containing 49% more bits than before (assuming the same yield), albeit at the cost of extra process steps. Speaking of production, the company hopes to kick off &ldquo;the early stage of mass production&rdquo; this year. At least some of the new chips will be made at the company&rsquo;s recently built M15 fab. After SK Hynix refines the mass production of its 96L 3D TLC NAND chips, the company will move on to the next stage. Sometime next year the company plans to roll out 96L 3D NAND chips with a 1 Tb (128 GB) capacity, with both TLC and QLC variants planned. 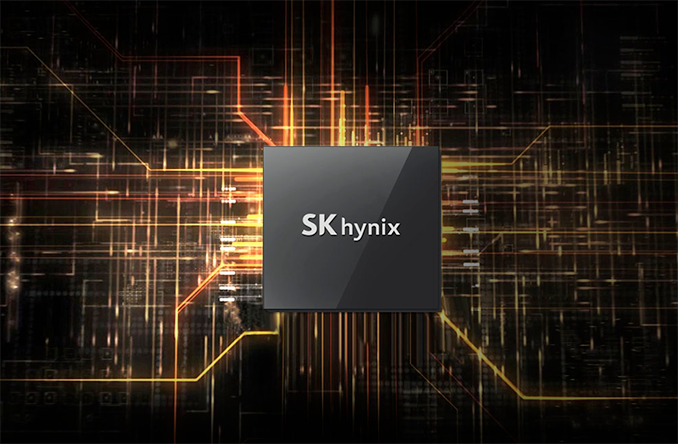 SK Hynix has already validated its 96L 512 Gb 3D TLC NAND for SSDs. The company plans to release 1 TB client SSDs featuring the memory and its own controllers/firmware &ldquo;within this year&rdquo;. Meanwhile, enterprise-grade drives based on the same memory are due in the second half of 2019. In addition to SSDs, SK Hynix intends to release UFS 3.0-based 96L 512 Gb 3D TLC NAND chips in the first half of next year. These will be the company&rsquo;s first UFS 3.0-supporting devices and will enable it to address various high-end smartphones. Today, AMD released Radeon Software Adrenalin Edition 18.11.1, bringing zero-day game support and performance improvements ahead of Hitman 2 (11/13/18), Fallout 76 (11/14/18), and Battlefield V Early Access (11/15/18). As a low-key game-oriented driver, 18.11.1 also includes a few bugfixes for issues affecting Assassin&#39;s Creed: Origins, Wolfenstein II, and Strange Brigade. As the year comes to a close though, we should expect to hear about more wide-ranging driver developments with the annual Radeon Software major feature update. In terms of 18.11.1 improvements for Hitman 2, AMD cited up to 3% more 1080p performance on the Radeon RX 580 than 18.10.2. Meanwhile, for Battlefield V Early Access at 1080p AMD is touting up to an 8% uplift on the Radeon RX Vega 64 and 9% uplift on the RX 580, compared to 18.10.2. To be clear, while the latter title is releasing in full on the 20th, those who pre-ordered Battlefield V Deluxe Edition receive early access starting on the 15th. 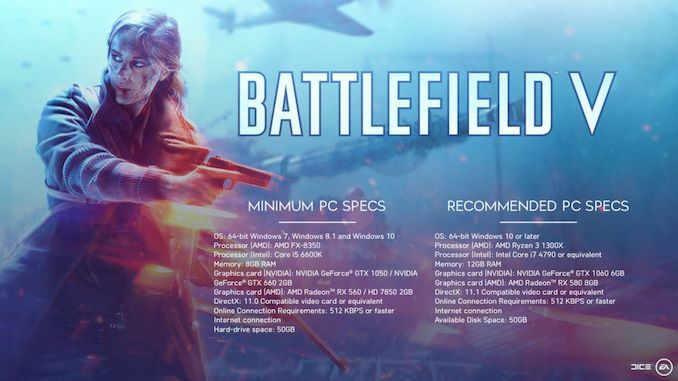 In any case, Battlefield V is not just the latest entry of the popular and high-profile FPS series, but is arguably the flagship game for upcoming real-time raytracing effects via DirectX Raytracing (DXR), something which NVIDIA is strongly pushing with their new GeForce RTX cards. Though with EA refering to an "early release of DXR will be available in an upcoming patch, near the Battlefield V Deluxe Edition release window," it&#39;s not clear when DXR support will arrive. For now, only NVIDIA RTX cards support hardware accelerated DXR, but AMD is working on drivers to support hardware acceleration on their own cards. Either way, EA&#39;s recommended system specs for DXR are pushing much beefier CPUs. When using Radeon Overlay on system configurations with the latest Windows 10 October 2018 Update (1809) some users may experience intermittent instability or game crashes. Assassin&rsquo;s Creed: Origins may experience an application crash while launching or playing the game in Windows 7. Strange Brigade may experience intermittent application crashes when using DX12. Minor corruption may be observed when launching Strange Brigade with Vulkan enabled on Windows 7 system configurations. An application hang may occur in Strange Brigade on multi GPU enabled systems with both V-Sync enabled in game and Radeon FreeSync enabled on Windows 7 operating system. Radeon Overlay may not show up when toggled in multi GPU system configurations in Strange Brigade with Vulkan enabled. 18.11.1 does not apply to APUs. The updated drivers for AMD&rsquo;s desktop, mobile, and integrated GPUs are available through the Radeon Settings tab or online at the AMD driver download page. More information on these updates and further issues can be found in the Radeon Software Adrenalin Edition 18.11.1 release notes. One of the recent topics permeating through the custom PC space recently has been about power draw. Intel&rsquo;s latest eight-core processors are still rated at a TDP of 95W, and yet users are seeing power consumption north of 150W, which doesn&rsquo;t make much sense. In this guide, we want to give you a proper understanding why this is the case, and why it gives us reviewers such a headache. ZOTAC this week officially launched its second-generation VR GO wearable backpack PC for VR gaming. 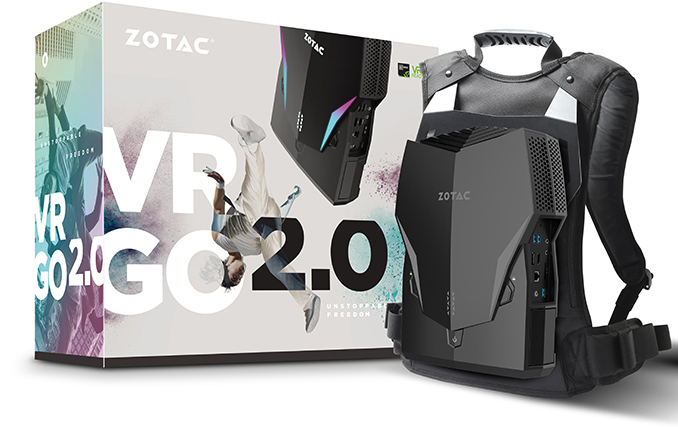 The new VR GO 2.0 system is somewhat smaller and marginally lighter than the one ZOTAC introduced back in 2016, though the only tangible performance upgrade versus the previous-gen backpack PC is Intel&rsquo;s six-core processor. The manufacturer announced plans to release its second-gen VR GO back at Computex, but did not disclose its exact specs. 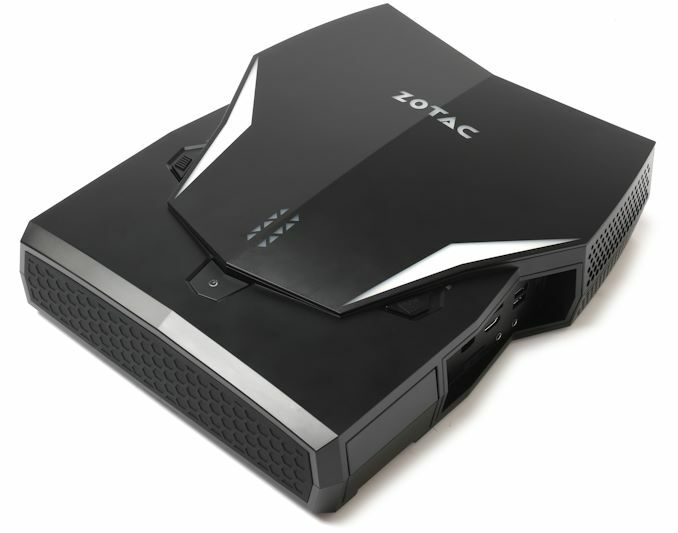 This week ZOTAC finally revealed that the new VR GO 2.0 system is outfitted with Intel&rsquo;s six-core Core i7-8700T processor and paired with NVIDIA&rsquo;s GeForce GTX 1070 GPU with 8 GB of GDDR5, 16 GB of DDR4 memory, and a 240 GB M.2 SSD with a PCIe 3.0 x4 interface. The system also has a 2.5-inch bay for another storage device so to provide plenty of capacity to install more games. 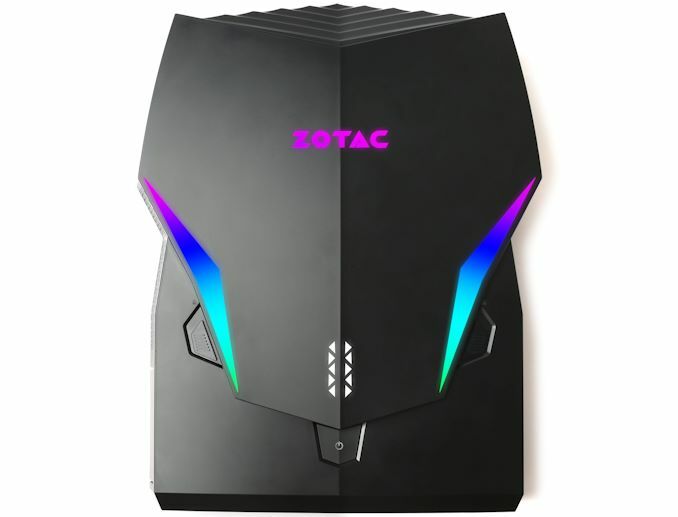 Technically, the system can accommodate other CPUs and GPUs, but due to thermal concerns ZOTAC will offer its new backpack PC with the aforementioned hardware only (at least initially). Just like its predecessor, the second-generation ZOTAC VR GO has a rich set of I/O capabilities that includes an HDMI 2.0 output as well as three USB Type-A ports on top to connect a VR headset as well as three additional USB 3.0 Type-A ports, a USB 3.0 Type-C header, two display outputs (one HDMI 2.0, one DP 1.3), an 802.11ac Wi-Fi + BT 5 module, one GbE port, an SD card reader, as well as two 3.5-mm audio jacks. ZOTAC&rsquo;s VR GO 2.0 is equipped with two hot-swappable batteries that can enable about 1.5 hours of gameplay (according to the manufacturer), which is a tad lower than in case of the the original VR GO. Just like before, the batteries can be hot-swapped and charged separately. In the meantime, the form-factor of the system allows it to be used like a desktop computer as it can be placed on a desk either vertically or horizontally and all the ports will remain accessible. To make the system a bit more attractive to gamers and enthusiasts, the VR-GO 2.0 also has addressable RGB lighting on the back that can be used for customization. 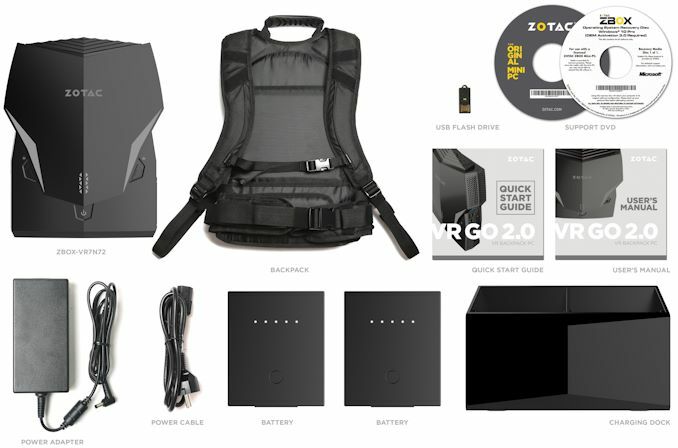 ZOTAC has not officially disclosed pricing of the VR GO 2.0 wearable backpack PC so far, yet it is likely that it will cost around $2000, similar to the previous one. As for availability, the new system should hit the market sometime in late November or so, in time for holiday season in the U.S.
Sony is about to start selling the industry&rsquo;s first 128 GB write-once BD-R XL optical media. The discs will also be the first quad-layer BDXL media formally aimed at consumers, but bringing benefits to professionals that use BDXL today. As it turns out, increasing the per-layer capacity of Blu-ray discs (BDs) to 33.4 GB via a technology called MLSE (Maximum Likelihood Sequence Estimation) was not a big problem, and most of today&rsquo;s BD players and optical drives support the BDXL standard. However, increasing the layer count to four while ensuring a broad compatibility, signal quality across four layers, yields, and some other factors slow downed release of 128 GB BDXL essentially by eight years. In a bid to build a viable quad-layer 128 GB write-once BDXL disc, Sony had to design three new materials. First, the company had to create a new recording alloy that would provide the right combination of reflectance and transmittance to ensure that the layers can &ldquo;reflect&rdquo; data bits when needed while allowing the 405nm laser to pass through them when another layer is accessed. Then, Sony had to develop a new inter-layer material (called dielectric) that would also be able to transmit light waves. Finally, because with four layers the first one has to be located closer to the disc&rsquo;s surface, Sony had to design a new protective coating for the media. 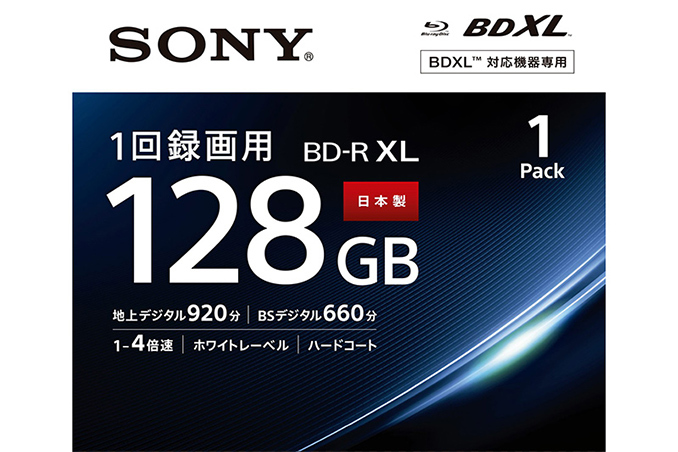 Sony will start shipments of its BD-R XL 128 GB media on the 10th of November. Single-disc packages (BNR4VAPJ4) will retail for &yen;1,500 ($13), a pack of three (3BNR4VAPS4) will cost &yen;3,900 ($34), whereas a pack of five (5BNR4VAPS4) will be priced at &yen;6,000 ($53). The discs should be compatible with drives supporting the BDXL spec, though a firmware update may be needed regardless. 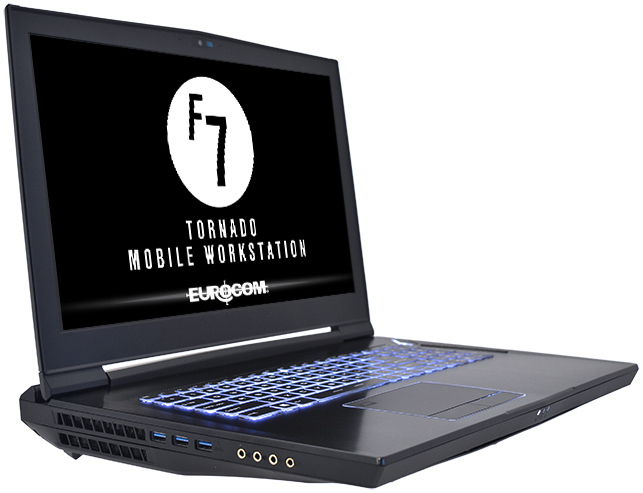 Eurocom this week introduced its newest high-end desktop replacement mobile workstation, the Tornado F7W. Aimed at those who need desktop-class performance in a clamshell form-factor &ndash; with little heed to weight or power consumption &ndash; the new DTR packs in Intel&rsquo;s latest eight-core desktop processors, 128 GB of memory, as well as NVIDIA&rsquo;s flagship professional-grade GPU for notebooks. 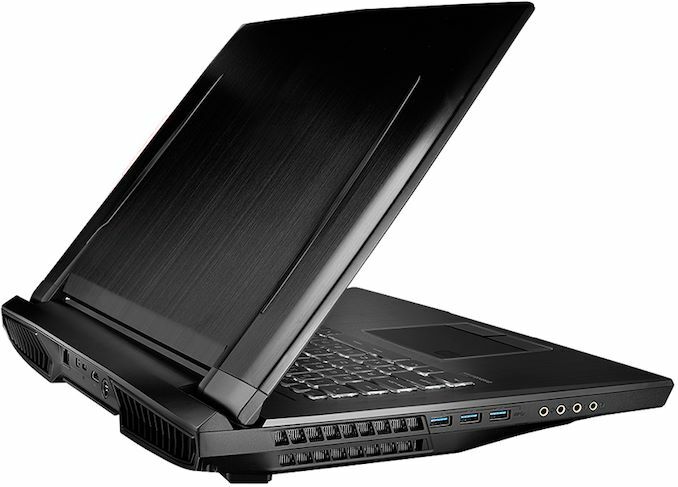 Eurocom&rsquo;s Tornado is the company&rsquo;s flagship mobile workstation. The luggable computer comes in an aluminum + plastic chassis and is equipped with a 17.3-inch display panel (4Kp60 or 2Kp120). Under the hood, the machine is powered by Intel&rsquo;s desktop-class (socketed) CPUs, as well as NVIDIA&rsquo;s Quadro Mobile GPUs. 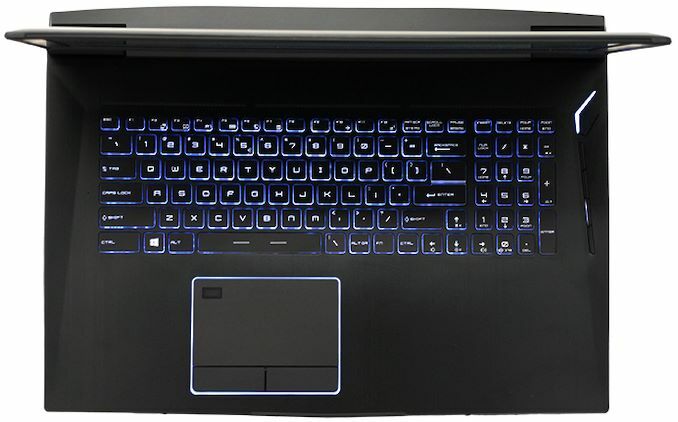 In its top configuration, the Tornado F7W comes with Intel&rsquo;s eight-core Core i9-9900K processor paired NVIDIA&rsquo;s Quadro P5200 MXM module featuring 16 GB of GDDR5X memory. To cool down its two key components, the mobile workstation uses two cooling systems, each featuring a high-speed blower and five thick heat pipes. The Tornado F7W can be equipped with up to 128 GB of DDR4-2667 memory, three M.2 PCIe SSDs, as well as two 2.5-inch storage devices for a total of 22 TB of storage space. 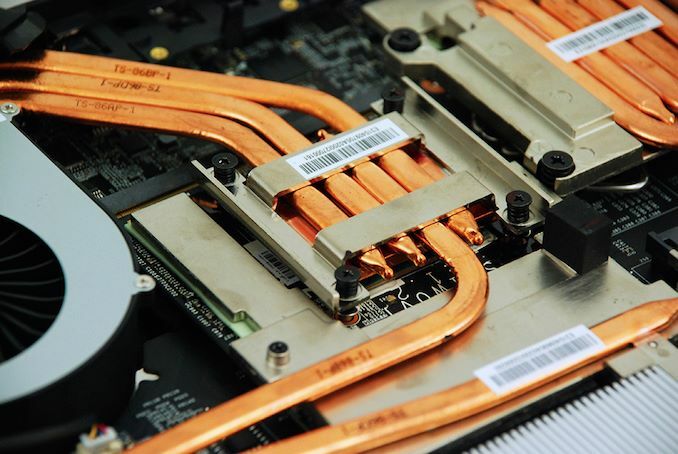 Meanwhile, those machines powered by Xeon processors can also take advantage of ECC memory. 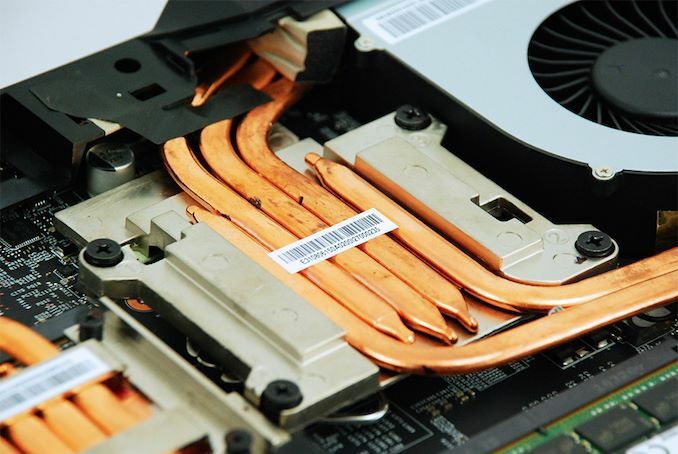 Since the machine uses socketed CPUs, discrete MXM GPUs, SO-DIMMs, and M.2 SSDs, it can be easily upgraded after the purchase, just like a desktop PC. Moving on to connectivity. the Tornado F7W can be equipped with Intel&rsquo;s Wireless-AC 8265 supporting 802.11ac Wi-Fi + Bluetooth 4.2, Rivet&rsquo;s Killer Wireless-AC 1535 featuring 802.11ac Wi-Fi + Bluetooth 4.1, or Intel&rsquo;s Wireless-AC 9260 supporting 802.11ac and Bluetooth 5. On the physical side of things, the system has one GbE port (controlled by the Intel I219-LM to enable vPro and remoted management for Xeon-powered machines), five USB 3.0 Type-A connectors, one Thunderbolt 3/USB Type-C port, two display outputs (HDMI 2.0, mDP), an SD card slot, a SmartCard reader, and 5.1-channel audio connectors. Obviously, the laptop also has a keyboard with a keypad, a 2MP webcam, integrated speakers, and so on. 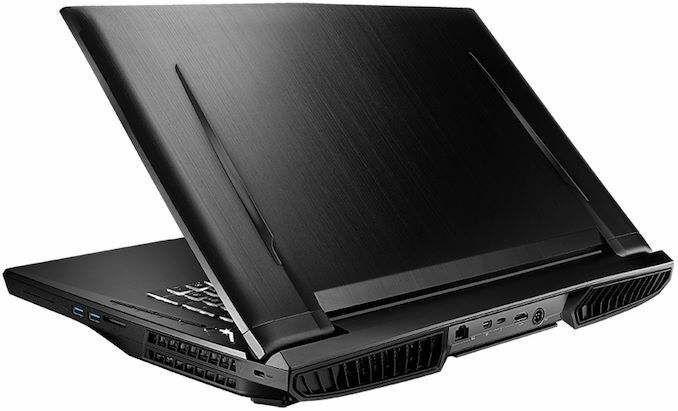 Since the Eurocom Tornado F7W is a mobile workstation, it has to support workstation-class security. Therefore, the machine comes with a pre-installed TPM 2.0 module, optional BIOS-enabled disk encryption, a fingerprint scanner, a SmartCard reader, and a security lock. For those who want an ultimate security/privacy, Eurocom offers machines without a webcam, microphone, and WLAN/BT. Time to talk about portability and battery life. The Tornado F7W comes equipped with a 90 Wh battery that the manufacturer affectionately calls "a built-in UPS". Eurocom does not assign an actual battery life rating to the device, but then this isn&#39;t a machine that&#39;s intended to be away from a power outlet for long. The machine is 51 mm thick and weighs 4.14 kilograms, so it is portable but not especially easy to carry around. For mainstream configurations Eurocom offers a 330 W PSU that weighs 1.24 kilograms (making the effective weight of the PC about 5.4 kilograms), but for ultra-high-end configs the company also has a 780 W PSU that weighs 1.7 kilograms. 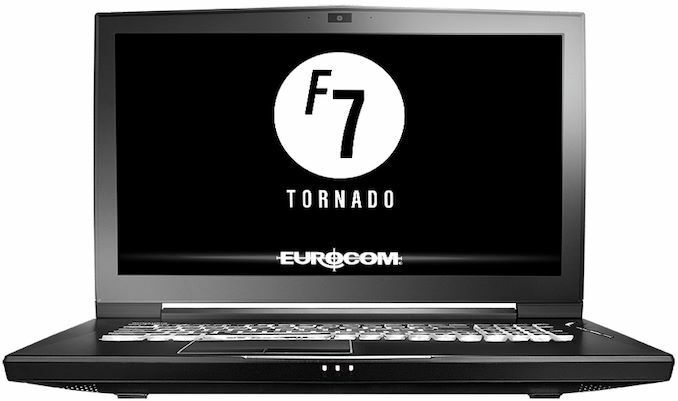 Eurocom&rsquo;s Tornado F7W is already available for order at the company&rsquo;s website. The cheapest configuration with a Full-HD 120 Hz LCD, Intel&rsquo;s Xeon E2176G, NVIDIA&rsquo;s Quadro P3000, 16 GB of RAM, and a 1 TB HDD retails for $3,499. Once the system is beefed up for maximum performance and storage redundancy, the price of the Tornado F7W skyrockets to $14,000 and can actually go all the way to $20,500. Other I/O Microphone, stereo speakers, audio jacks, webcam, fingerprint reader, SD card reader, SmartCard reader, etc. Dimensions Width 428 mm | 17.12"
Depth 314 mm | 12.56"
Thickness 51 mm | 2.04"